Accessorizing your sitting area with warm tones of green, blue and aqua anchored by beach inspired artwork gives this space an utmost summer flare. 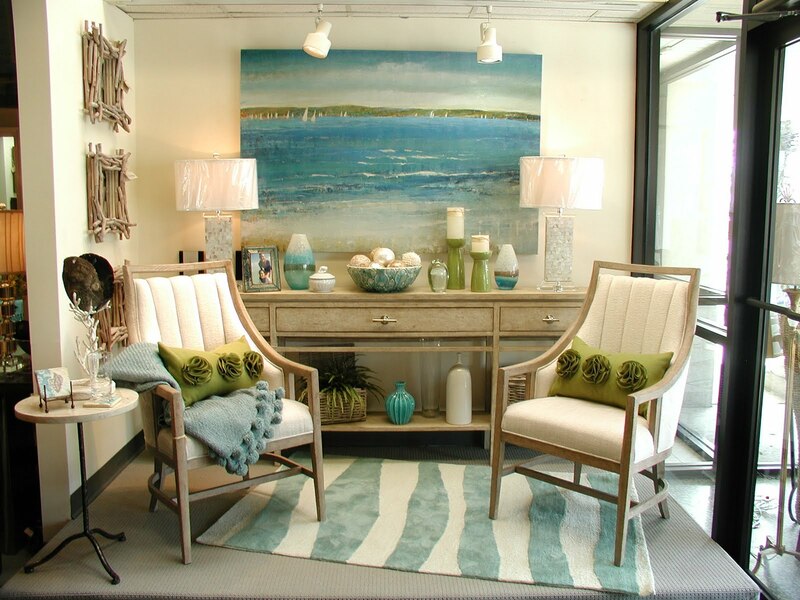 Further accented by rustic frames which could be in wicker, bamboo or birch as well as coral reef inspired tabletop accessory and able legs demonstrate how even in the middle of the city or suburbs, your new home can still feel like a summer beach oasis. Adding dimension and colour with tabletop accessories which can be used both indoors or out provides charm and versatility. 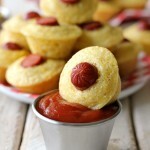 These easy to make accessories incorporate items you likely already have in your new home. 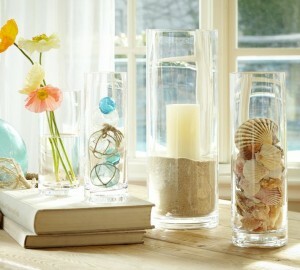 Seashells, sand, candles and delicate flowers create a peaceful summer ambiance in any room of your new home. This neutral tone living room was infused with varying tones of green along with floral print fabric creating an airy summer feel you can also achieve in your new home. Rather than using coloured accessories that are solid and opaque, the use of translucent coloured glass in the tabletop vase, lamp and swan statue add to the open airiness which nicely emanates a summer feel. A great way to soften up a formal dining room in your new home for summer can be as easy as slipcovering your dining room chairs with a white or light cream canvas chair cover. If your budget permits, swapping out the chandelier with an oversized hurricane chandelier, along with updating the drapery with a tulle or sheer linen fabric in white or light cream accentuates the summer look and feel. To complete the look, a simple glass vase clustering with large tropical foliage can be achieved with minimal budget and can certainly transform your new home into a summer oasis. For more inspirational tips and ideas for decorating your new home, be sure to visit the Mosaik Homes Facebook Page!